Are you taking (or thinking about taking) Zoloft for depression but are worried about gaining or losing weight as a side effect? While Zoloft can help boost your mood, it's important to weigh the potential pros and cons of taking it before making your final decision, especially if you're struggling to shed pounds. Zoloft, also known as sertraline HCL, is a prescription medication used for the treatment of obsessive-compulsive disorder (OCD), major depressive disorder, posttraumatic stress disorder, panic disorder, social anxiety disorder, and premenstrual dysphoric disorder in adults. This medication is also approved for children and teens ages 6 to 17 years old who have obsessive-compulsive disorder. While Zoloft may help with psychological health conditions, it's important to be aware of certain side effects related to body weight. Can You Lose Weight With Zoloft? While it's more likely you'll gain weight when taking Zoloft, weight loss may also occur. You could lose weight when taking this medication if you're burning lots of extra calories, following a reduced-calorie meal plan, or both. Nausea and loss of appetite are possible side effects when taking Zoloft, which could aid in weight loss efforts. Likewise, a 2016 study published in Psychoneuroendocrinology found taking sertraline HCL helped monkeys avoid increases in body weight, insulin, and body fat. While this study was conducted in animals, results show Zoloft may help prevent you from packing on unwanted pounds. Taking Zoloft can, indeed, cause weight gain (especially in children and teens), as stated in the Zoloft manufacturer's packaging label. Different studies have examined effects of Zoloft (sertraline HCL) on weight gain. For example, a 2016 study published in the Journal of Clinical Medicine says patients using sertraline were about 6 pounds heavier after a 2-year period. Another study published in 2015 in General Hospital Psychiatry says sertraline is associated with significant weight gain. So, keep this in mind when discussing anti-depressant options with your doctor, especially if you're trying to shed pounds. You might be wondering why Zoloft can cause you to pack on pounds. A 2016 issue of Psychology Today says antidepressants appear to alter appetite by inhibiting certain neurotransmitters inside the body that regulate appetite. You may feel hungry even when your stomach is full of food, or you might experience food cravings for carbs or higher-calorie snacks. The medication may also cause you to feel more tired and interfere with getting a good night's sleep (both of which are causes of eating more and potential weight gain). Medication-induced fatigue also makes it more difficult to burn extra calories and get in regular workouts. Who Is Affected by Weight Gain? Not all people who take Zoloft gain weight, as everybody reacts differently to the medication. Teens might experience the most dramatic effects, as weight gain is side effect listed on Zoloft's packaging label for this population group. But adults too, can experience unwanted weight gain. If you are taking Zoloft and wish to lose weight, you will likely need to watch calories closely and engage in some form of exercise to burn additional calories. Because Zoloft can hamper weight loss, consider trying a calorie-restricted diet or a low-carb, low-calorie diet to manage blood sugar and help your body give up extra weight. A regular exercise program, such as high-intensity interval training three to five times per week, can help you burn calories, lose weight or maintain weight loss, and provide mental health benefits. 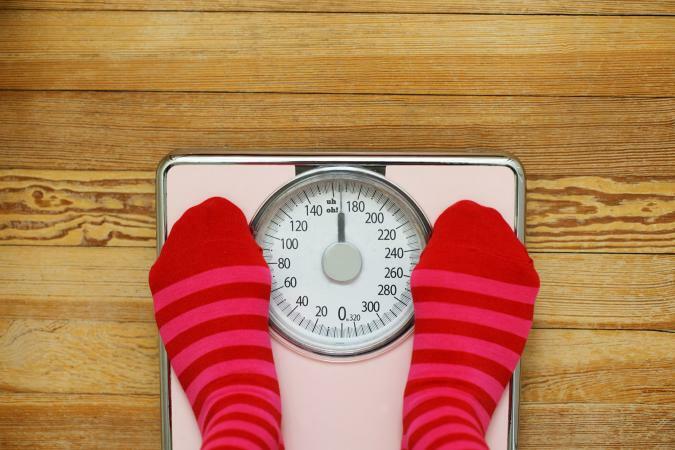 Can You Lose Weight After Discontinuing Zoloft? If you're someone who's destined to gain weight while taking Zoloft, you might be wondering if the weight will come off if/when you discontinue taking the medication. Unfortunately, shedding those extra pounds can be difficult for some people. Judith Wurtman Ph.D. with Today's Psychology says weight gain caused by antidepressants should come off after discontinuing the medication for most people, but others hold on to excess weight months or years after ditching Zoloft -- and no one really knows why. Long-term studies are needed in this realm. Diet and exercise may help. When you're trying to shed pounds, use caution when taking Zoloft, as weight gain may occur and weight loss can be more difficult due to appetite changes. If this medication causes you to feel nauseated or lose your appetite (or you restrict calories), weight loss may be an option while taking Zoloft. The ways this medication affects appetite varies from person to person.